Never underestimate the cool side of the pillow. With our College Pillowcases in a Whale design, you will always have the cool side of the college pillowcase both in style and comfort. Our College Pillowcases come in a set of two with a picture of a whale on each one. Your dorm bedding is about more than just comfort- it is also the centerpiece of your dorm room. 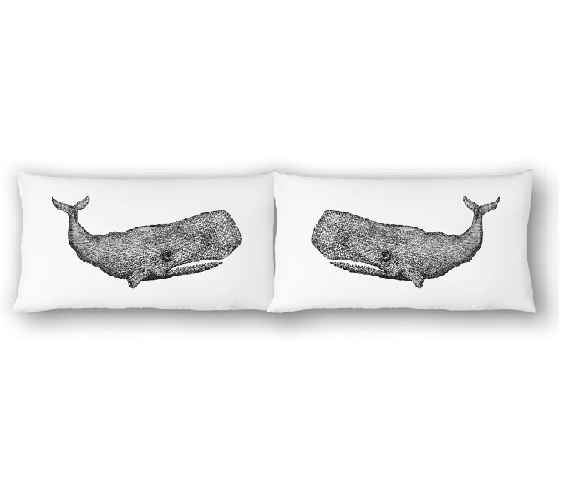 Have fun with your dorm bedding by adding to your dorm room decor with our cool whale college pillowcases! Our cool college pillowcases with a whale design will also keep you super comfy. Made of 100% cotton, they are super soft. Cotton is a natural fabric that is hypoallergenic so you won't have your sensitive skin irritated and it won't activate your allergies. However, you also want the cool side of the pillow and that's something that cotton will always give you. Cotton draws heat away from your body which means your college pillowcases will always stay cool and comfortable for you.